Note from Chadwick's human: "This is Chadwick. 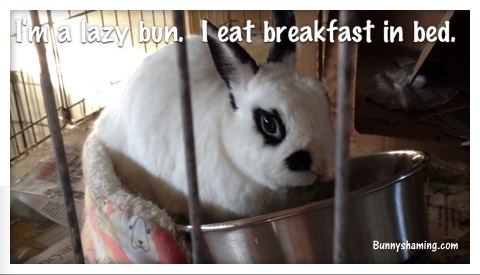 He pulls his breakfast bowl into his bed every morning. That's the only way he eats his greens. Shamefully finicky!"